The nominees for the prestigious ‘What’s On 4 Kids Awards 2018’ with Morton Michel have just been announced – and Believe & Be from Consett is amongst them! These pioneering awards were launched in 2007 to celebrate the UK’s best children’s clubs and classes, along with leaders and volunteers, party providers, places and activity-based products for children – as nominated and voted for by the experts – parents, carers and parents-to-be. 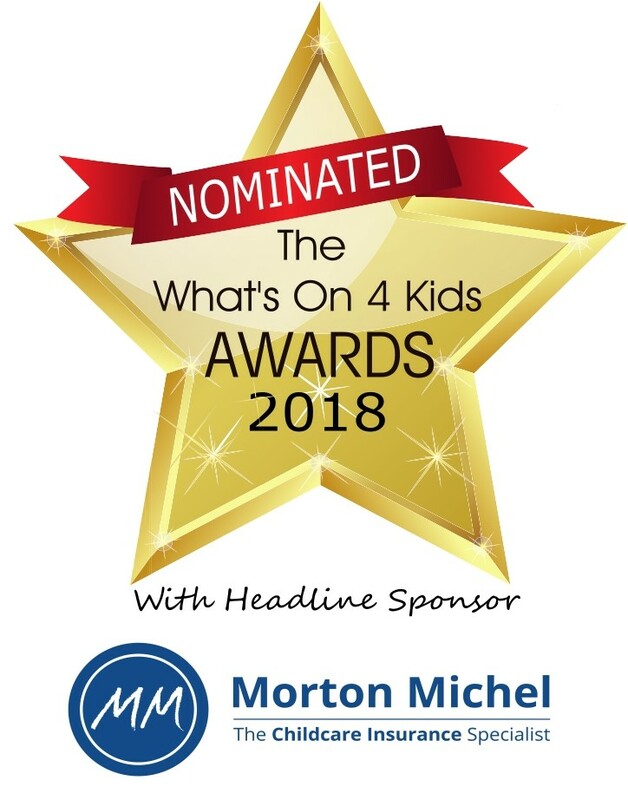 Over the last decade, the What’s On 4 Kids Awards have become established as the industry accolade with hundreds of exceptional businesses and individuals in the flourishing sector keen to be part of the action and be in with a chance to be revealed as a ‘What’s On 4 Kids’ finalist or winner! Now in its 12th year, this National awards programme welcomes new headliner Morton Michel, hosts NatWest with voting sponsored by STA and new nominations sponsor ClassBiz. A huge number of nominations were received and organisers are delighted to announce that Believe & Be is a nominee in the ‘Best Independent Pre-School Activity’ category which means they will now go through to the exciting national voting stage! The wealth of nominations this year reflects the huge support from the nations’ parents for these awards and their keenness to reward and shout about the very best! There are 25 exciting categories ranging from ‘Best Parenting Education Class’ and ‘Best Regional Leader’ to the highly esteemed ‘Industry Champion of the Year’ (which will be judged by The Children’s Activities Association (CAA) Board of Directors further to the recent success of the fantastic new CAA-led Children’s Activities Week). The Role Play Centre has been open in Consett since February 2017. Children aged 7 and under are able to visit Believe Town which is a scaled down version of a real-life street, with each little room having toys and props to allow little imaginations to run wild. Believe & Be is a place to allow children to play and interact with their peers, away from TV’s, tablets and other devices. Believe & Be runs 90 minute sessions throughout the day where children can learn, play and relax, numbers are limited in each session to allow customers to get the most from the little town. There is also a Café offering hot and cold snacks and drinks which can be accessed during the play session. Helen Pyke Co-owner at Believe & Be said “We’re delighted to be nominated for such a prestigious award, we thoroughly enjoy what we do here in Believe Town and we work hard to make it a wonderful experience for everyone. To be acknowledged in the form of an award is amazing. Victoria Johansen who owns the business alongside Helen added “It’s incredible to be nominated, we’d be delighted to make it as finalists’. Parents can log onto any of the award-winning on-line directories – www.whatson4littleones.co.uk, www.whatson4schoolkids.co.uk and www.whatson4kidsparties.co.uk to vote for their favourites from all of the nominees through. Up to 100,000 votes are anticipated this year and voting closes on July 13 2018. The winners will be announced at the live awards ceremony and sparkling celebratory reception on October 3 and everyone who votes or nominates will also be in with a chance to win 2 VIP tickets to attend the awards ceremony and reception and meet the winners, finalists, sponsors and VIPs. ‘Each and every year it’s a pleasure to welcome back so many activities, keen to be part of these National awards once again but it’s also so exciting to see the new nominees from this thriving sector being showcased for the first time. We know from parents’ testimonials how clubs, classes and individual leaders have such a positive impact on the lives of their children and it’s an honour therefore to publically recognise and celebrate these activity providers in this way. 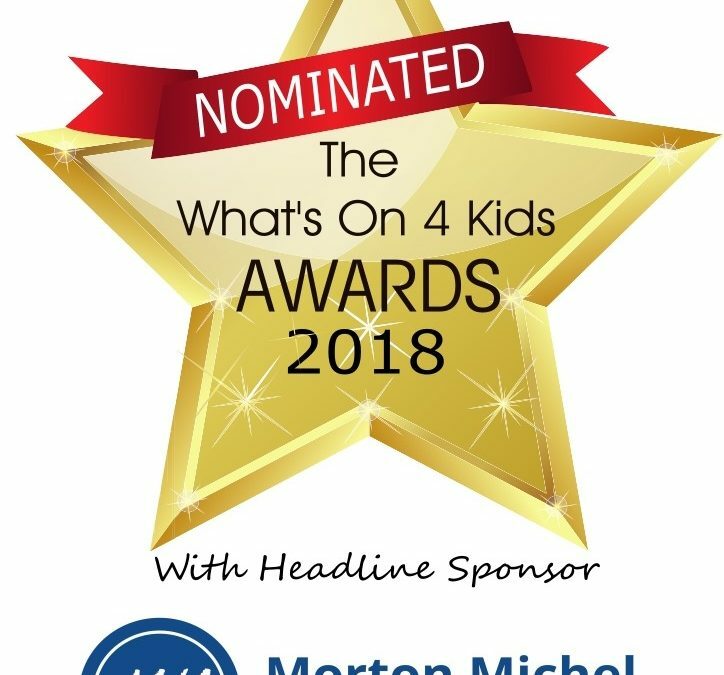 Huge thank you to NatWest, Morton Michel, STA and all our sponsors and supporters as well as all those thousands of parent voters for being such a massive part of the What’s On 4 Kids Awards 2018’.